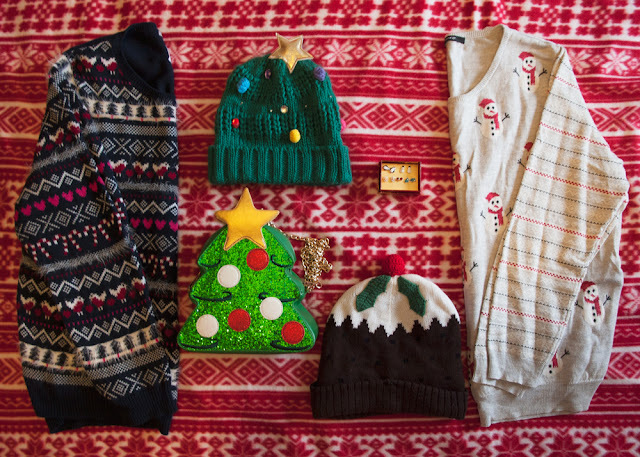 Over recent years I've started getting more into dressing for the festive season and for today's Blogmas post I thought I'd share my growing collection of Christmassy fashion pieces with you! I bought this Christmas pudding hat from Primark a few years ago but I have seen similar hats this year at ASDA and Marks and Spencer (in fact I've been eyeing up the ones in Marks and Spencer myself...) so there are plenty around if you want to pick one up yourself! I've got a lot of wear out of this over the past few years since I bought it but I have to admit it has been usurped slightly by the new hat I got a couple of weeks ago. 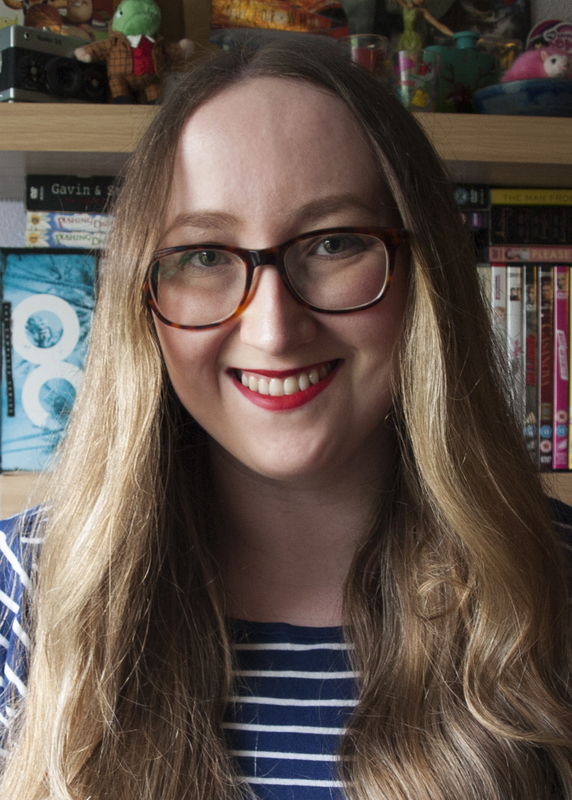 This glorious hat might just be my favourite out of everything here and of course I had to gif it so that you could see it in all its true glory. You can still get this at ASDA for just £6, which I'm sure you'll agree is a total bargain. And yes, it does have a switch in the back so you can turn the lights off if you don't always want to be lit up like a Christmas tree. Although I don't know why you wouldn't, honestly. 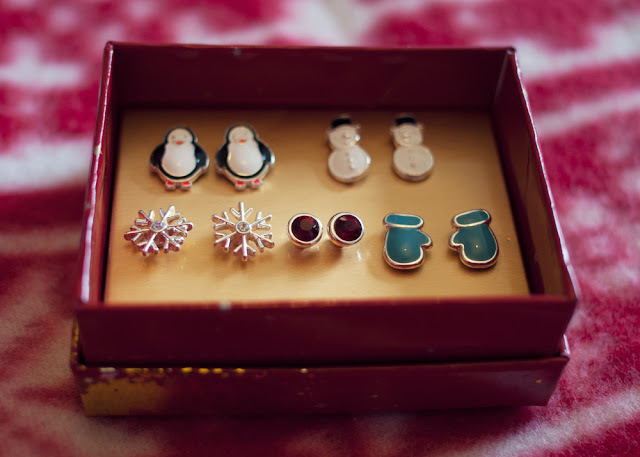 This cute little earring set is from the Avon catalogue and I am totally looking forward to spending the next month with snowflakes and snowmen in my ears! You might recognise this beautiful bag from the banner I've had at the bottom of all my Blogmas posts so far this month. I had my eye on this Skinnydip/ASOS exclusive bag for a while and totally jumped on it the second I got my Black Friday discount code from ASOS. Unfortunately it's sold out now but Skinnydip do have a couple of other adorable Christmas bags on their website. And last but not least are my lovely cosy Christmas jumpers. 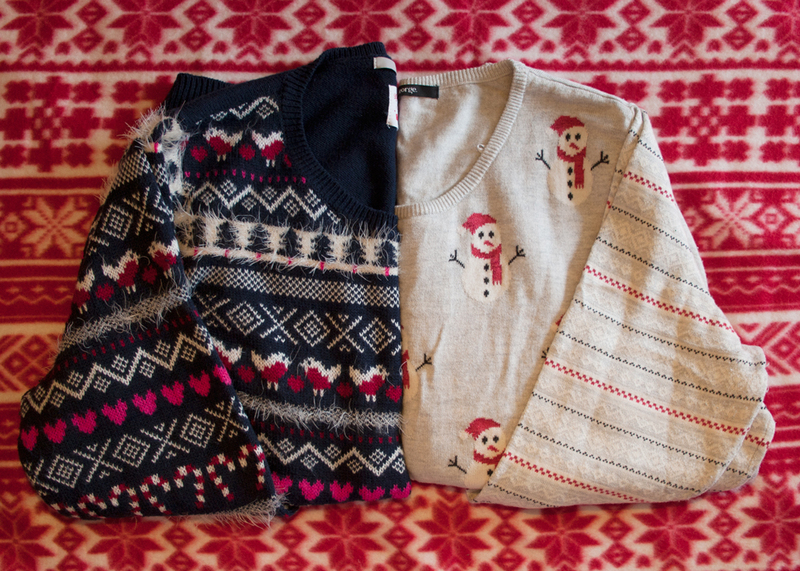 These are both from ASDA and they're both super warm and lovely. The snowman jumper is from last year but again it has been slightly usurped by my love for the new Christmassy fair isle jumper, which I will probably be living in for the next month. 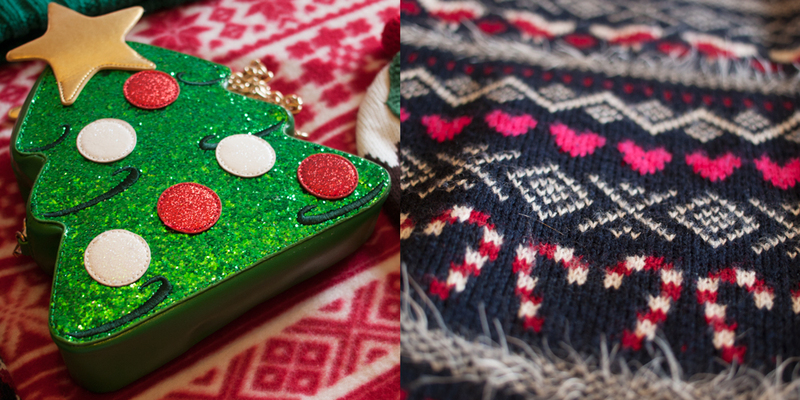 Do you think I have enough Christmas themed accessories? I'm not sure. I legitimately tried to buy the tree hat but they don't ship to Canada. I might just have to make one myself. All of this stuff is so excellent though. 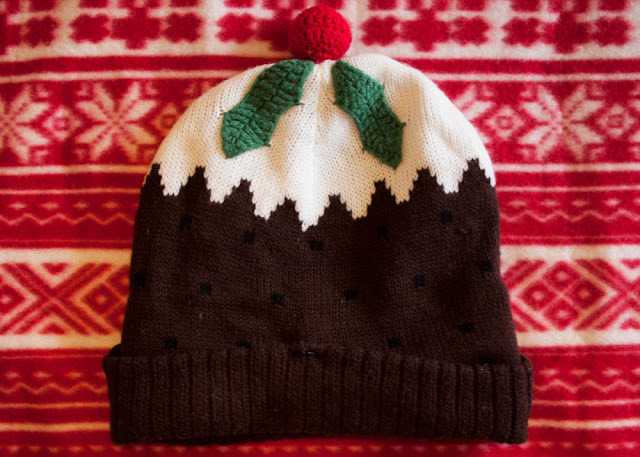 I'm sure you could knit yourself a beautiful Christmas tree hat! !